While RVs are big, it’s the little things that every owner has to worry about. Take RV batteries for example. What might work one day can become smoking hot the next. This can be a common problem for many RV owners. So, what causes it? Well, it could be caused by a few different things. 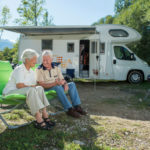 Signal Connect reached out to a few folks living the RV life and asked them about this possible issue with motorhome batteries. Their answers surprised us, and they might surprise you, too. Keep in mind, the RV experts didn’t know the person who had the battery problem. They also didn’t know the make, model, or year of that person’s fifth wheel. All they were told was that the battery in it started smoking after being used for just a handful of months. While the RV experts agreed that the problem could be a host of things, such as a converter that overcharged the battery, each of them said that the RV owner should look for a more simple solution first. That solution is RV battery water. The charger in the converter starts a bulk charge at bulk charge voltage: up to 14 Volts. In absorb mode, lower cells get charged while full ones boil off some water. When the current drops to less than 1 Amp, the charger drops back to 13.6 Volts. It’s generally believed that significant amounts of water will boil off if the battery voltage stays over 14.6 Volts for long periods. This overheating runs the risk of warping the plates, which leads to shortages. This can lead to the battery not being able to reach the bulk-absorb mode switch over. 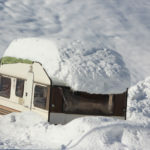 Needless to say, it’s a serious problem for any RV, camper, and motorhome. So, now know that charging can deplete your batteries water levels. Now you need to know how to check the water level in your motorhome battery and replace the water if it’s low. No, it’s not as simple as pouring more water in there until it’s full. There’s a science to adding water to your camper battery, and the RV experts we talked to shared these tips with us. 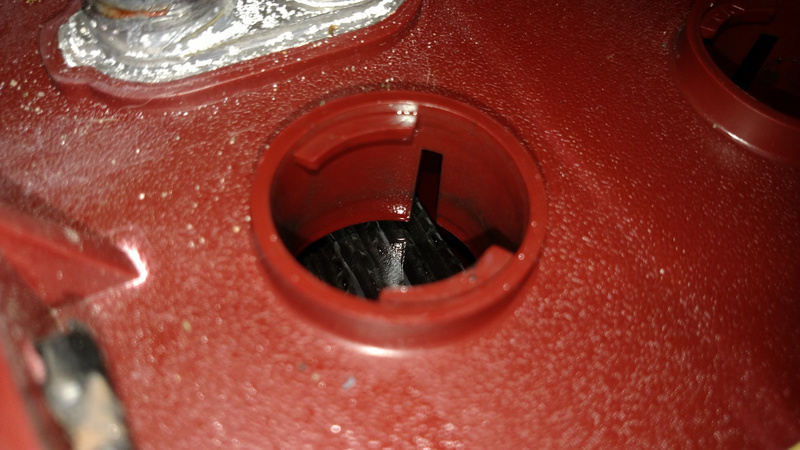 Check the battery to see if the water level is below the plates, aka fill-well or split-ring. Check water levels again and add just enough distilled water if needed. The RV experts we contacted recommended checking your camper battery water level once per month. They also said you should check these levels after each trip. If you leave your camper battery on a charge, they recommend you check your RV battery water levels twice per month. Remember, it’s better to be safe than sorry! Do it yourself articles are meant to simplify complex maintenance techniques. While that’s true with this post, there will always be those people who don’t want to bother with the do-it-yourself approach. (This is especially true when messing about with RV batteries.) 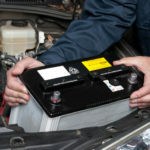 If you don’t want to take this risk, you can always have a qualified RV repair person perform your battery maintenance. These professionals will discover what the problem is and recommend the best fix for your RV, camper, or motorhome. While RV battery maintenance tips are necessary, the subject isn’t exactly fun. You know what is entertaining, though? Getting DIRECTV for your RV. Just imagine having all of your favorite news, sports, and entertainment programming wherever you go. It’s very easy to get this premier satellite TV service in your recreational vehicle, especially when you work with Signal Connect. We are an AT&T Preferred Dealer. Our account representatives can answer all of your questions. When you’re ready to get DIRECTV in your RV, our reps will walk you through every step of the process. From choosing a viewing package to getting equipment and more, we’re here to make sure you get exactly what you want. If you have questions or want more information about DIRECTV for RVs, campers, and motorhomes, just fill out the form below. A member of our team will follow up with you in one business day or less. 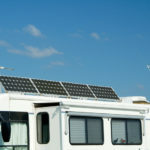 This entry was posted in RV and tagged battery, camper, driving, Equipment, motorhome, RV. Bookmark the permalink.